It's pretty well documented that a higher temperature mash will yield a less ferment able wort, but to fine tune my recipes correlating mash temperature to attenuation is important. The above graph is a culmination of data from three sources. Two independently run tests isolating mash temperature holding all other variables as contestant as practical. These are blue diamond and green triangle marks. The red squares are data from beers that I have brewed. You can see that the three all have a very similar shape and that all three are roughly the same, however it's where they deviate that I find interesting. 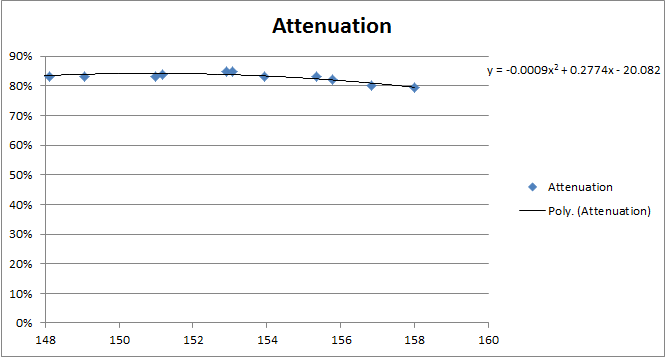 Kai's data shows a maximum attenuation at about 148 degrees Fahrenheit while the Wyeast data shows maximum attenuation at 153 degrees Fahrenheit. There aren't really enough data points in my data to draw a conclusion here, but it seems to peak about where Kai's data is. The diastatic power of the malt, mash time, and yeast strain, all play into the equation as well. Which likely account for these deviations. 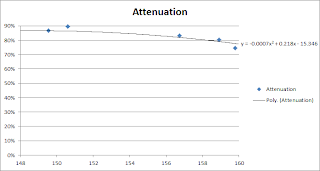 It can be seen from this data that in the typical mash range of 145-160 the attenuation can be varied by 10%. This is the largest contributing factor that I have seen. 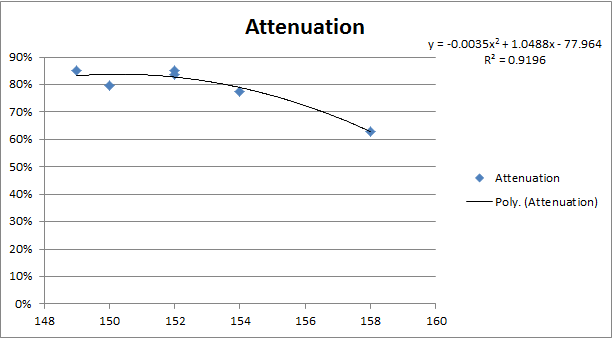 Yeast strain can vary attenuation about 4%. 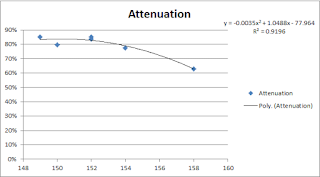 The use of crystal malt in a typical 10% addition changes atteunation about 3%. And mash thickness and fermentation temperature do not seem effect final attenuation a noticeable amount. 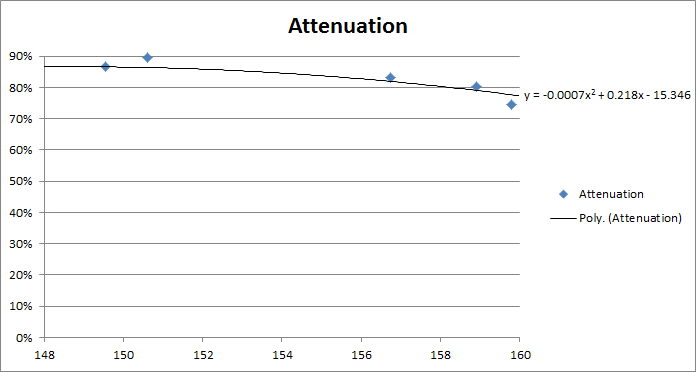 If you use an excel sheet for calculating attenuation then it's easy enough to add the full equation, but a basic rule of thumb will work for most cases. Especially considering that there are a number of other factors involved with attenuation. The results of my last six brews are shown below. 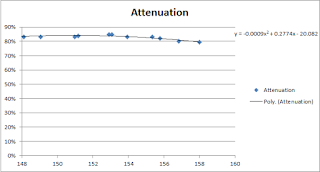 Notice that the mash time effects total apparent attenuation, but not to the extent that of temperature. Below is the data that I have collected with 3 gallon batches of beer. This is fantastic. I have looked and looked for an eternity for SOMETHING that is actual factual instead of just some oft repeated "mash higher to get more unfermentables." I have always wondered about this. Now I have something to base it on. Thanks for collecting this. I'm surprised to see the shelf of attenuation does not change from 145F to 150F. I would have guessed it differently. But then again, your other post addresses the why of this -- you lose the enzyme action at the higher temps by keeping it at the lower temps which actually hurts attenuation not helps it.